Seeing is believing and video is a powerfully persuasive tool. your potential customers are 64% more likely to buy your products or services? For services industries your video presentation will help reassure the viewer that here is a company they can trust to serve them well. A good corporate video gives your company credibility and personality, especially if a company representative presents directly to camera, explaining the benefits of choosing your service or products. Some well lit and professionally edited shots of your premises or latest product can be further enhanced by on screen graphics to drive the sales message home. Keep it short and sweet and tell a story. Our client, Environet needed to show the problems caused by Japanese knotweed to house owners and house builders alike. Client needed a series of videos to highlight and demonstrate what Japanese knotweed is and the eradication methods available to potential customers. We created a series of short films which looked at Japanese knotweed from different perspectives in relation to the customer experience on Environet’s website & YouTube channel. As a direct result of placing the videos onto the clients website, the customer traffic increased over 40%. 37,000 views in just three months!! 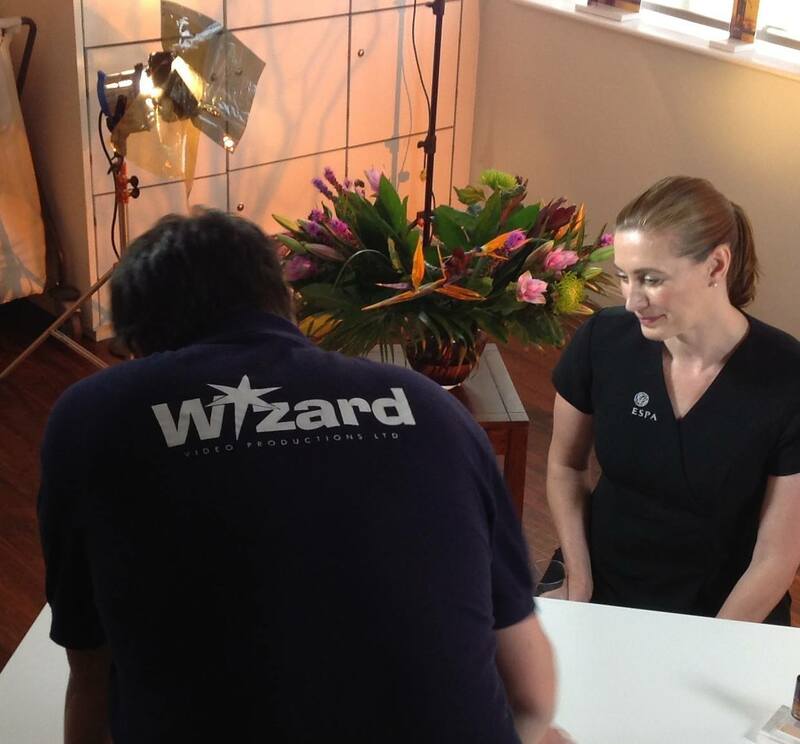 The leading beauty product brand Espa chose Wizard Video to make their launch video for Espa Proserum. The video was released on YouTube. Shot in just a few hours the video has now received several thousand views. After we’ve discussed your requirements we will have a better idea of how much filming and editing time is required but these figures give you an idea….. Suitable for short web interviews and client testimonials. Choose this package for when you require between 4 -6 hours of filming and extra lighting. We are very happy to quote for even more complicated shoots over several days and/or where travel is involved. Even drone filming can be arranged to give you a different perspective on the subject matter! A pre-production meeting will help sort out the most creative AND most cost effective solution for you. Why is pre-production vital? The most important part of any video production for business lies in its planning.